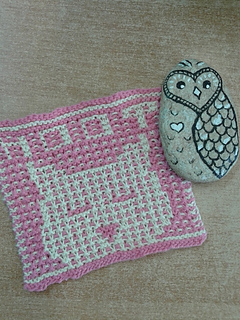 You Obviously Love Owls as much as I do! 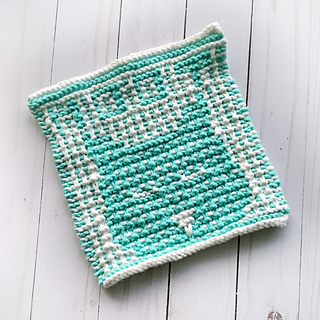 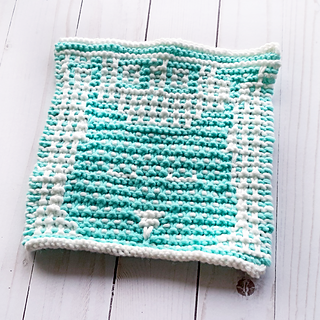 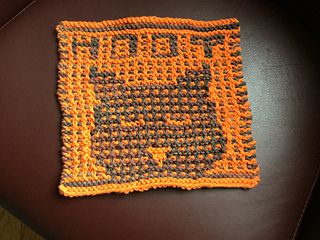 This mosaic slip stitch pattern works great as an addition as a square in an afghan or as a stand alone design for a cleaning cloth. 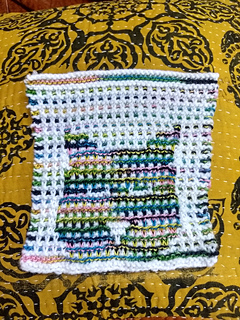 Each colour is worked two rows before switching, meaning you’re only ever managing one colour at a time - there is also no purling (hooray!). 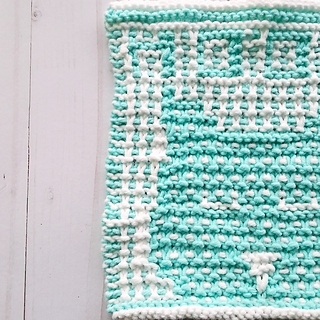 Perfect for beginning or advanced knitters. 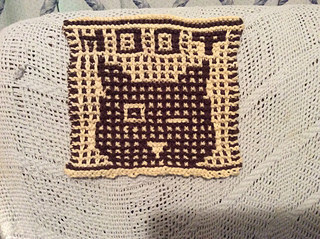 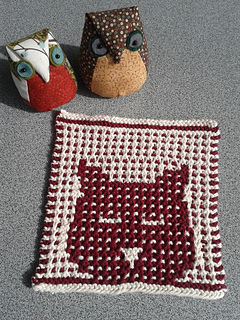 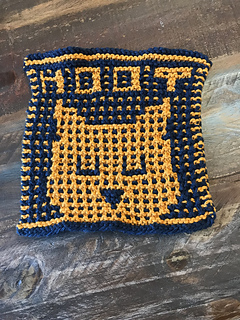 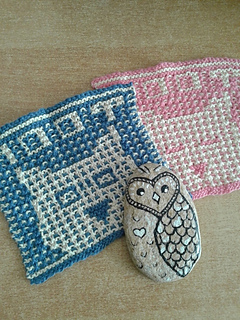 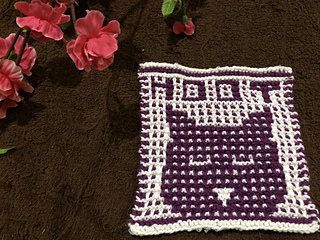 The pattern is written and charted fully for each option - with or without the word hoot. 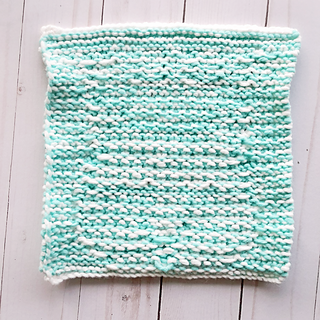 You’ll want to use two contrasting colours for the best impact - check out some of the projects for fun ideas! 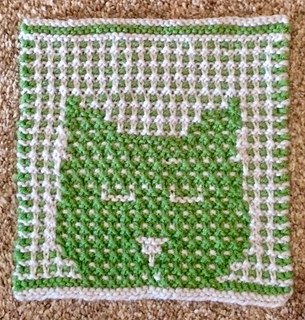 Roughly half the total yardage will be each colour. 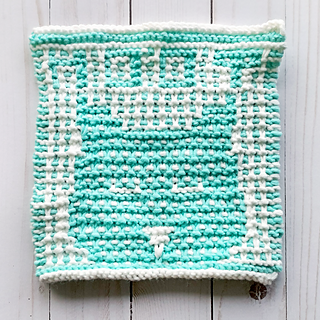 This is block #4 in a series of nursery/baby themed squares that will be released March 2018 - May 2018.